Congratulations to Mr. Stevens who was awarded the 'Above and Beyond Director" award for his contribution at the State Thespian Festival held at the Gaylord Convention Center Nov 15th-18th! The HPHS AUDITORIUM SOUND just got better! On October 3rd, two new digital sound processors were installed to vastly improve the sound in the auditorium at Highland Park High School. The new sound equipment was funded by HP Arts Take-A-Seat Fund! 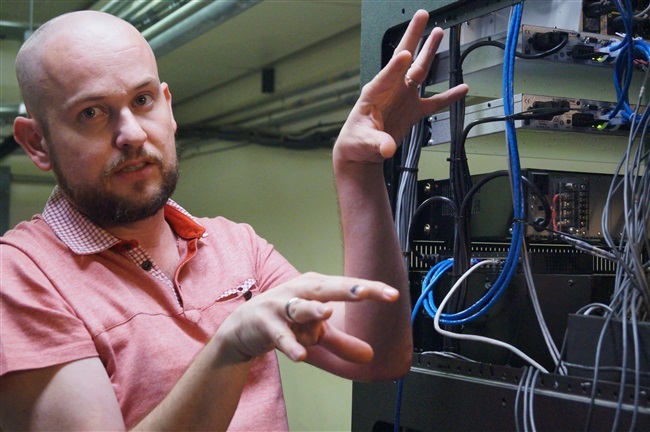 Mr. Ben Stevens (photo below), New HPHS Theater Teacher and Auditorium Manager explains that a DSP or digital signal processor is used to take analog signals and process them into digital data allowing the digital data to be manipulated. Because one of the processors was completely non-functioning and the other was out of date, several of the sound outputs (speakers) did not work at all and the rest put out sub optimal sound. The new DSPs allow all the speakers to work and give us the power to balance the sound digitally for a more pleasing sound. There was a noticeable sound difference for Hamlet which showed November 11th and 12th. Mr. Stevens used a significant amount of music and sound effects! Take a Seat Funds raised are used for ongoing improvements in the HPHS auditorium areas. Each $500 donation goes into the fund and purchases an elegantly engraved brass plaque displayed on the arm of an auditorium chair. Plaques typically honor a child, family member, a favorite teacher or HPISD organization in the HPHS Palmer Auditorium! 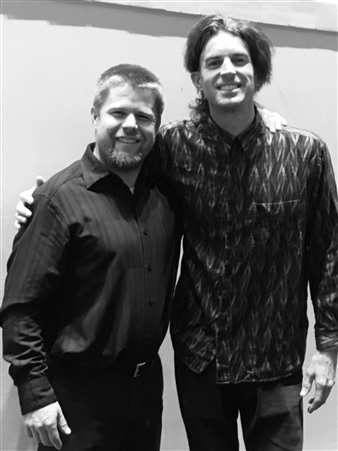 HP Arts recently funded an original composition, entitled Boom Bap, written by Nick Werth for the HP percussion ensemble to play at the Percussive Arts Society International Conference (PASIC) on November 11. Werth is an American percussionist and composer from Portland Oregon. Werth surprised the percussion students by showing up to play with them at their concert on October 30. His deeply-rooted connection to nature serves as his primary inspiration for composing. 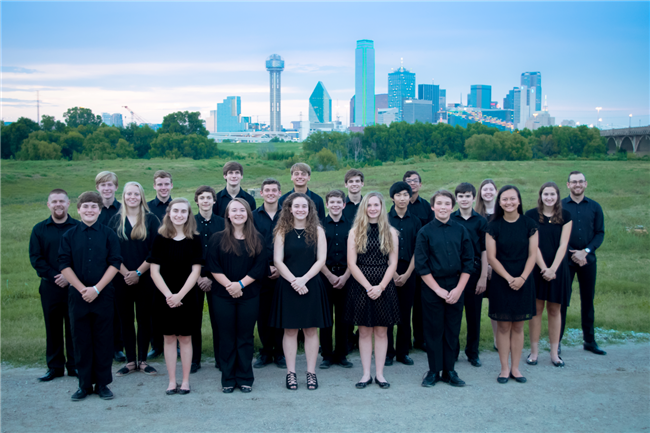 The Percussive Arts Society International Convention (PASIC) is the largest and most prestigious percussion contest in the U.S., and the Highlander Band percussion section is one of only three high school ensembles selected to perform. They were chosen by a panel of collegiate professors and professional percussionists based on recordings submitted last spring of their most advanced musical selections. Class of 2017 percussionists, Cameron Coffey, Carson Dugger, and Lauren Ghighi, who were the core leaders in earning this prestigious honor are not pictured below but the Highland Band acknowledges their talent and determination and is grateful for their leadership! PASIC presents a once-in-a-lifetime showcase concert opportunity for these percussion students. 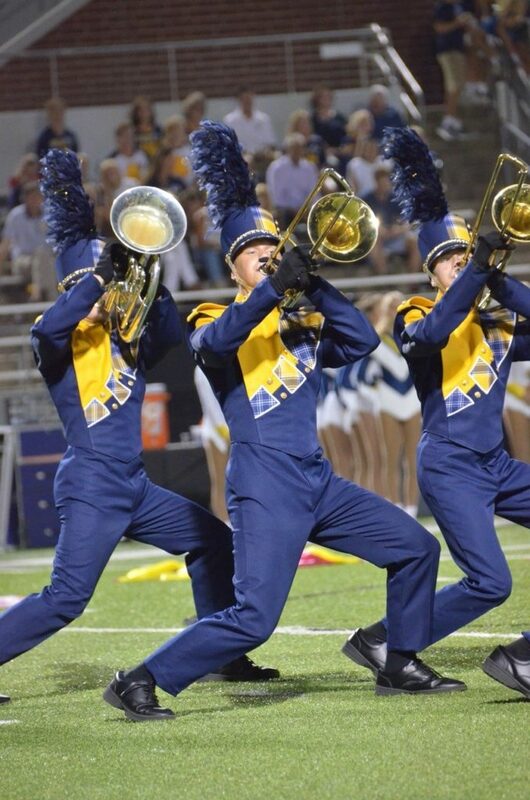 The honor reflects the Highlander Band’s growing national reputation and the demanding work of the band’s directors and students. 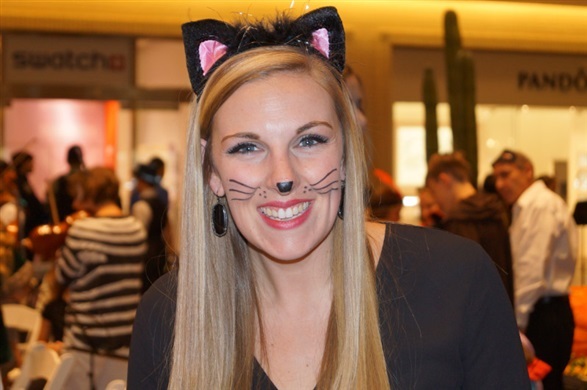 The spectacular HPISD orchestras grades 6th-12th played at the annual Hauntcert at Northpark Mall on Tuesday October 24th! 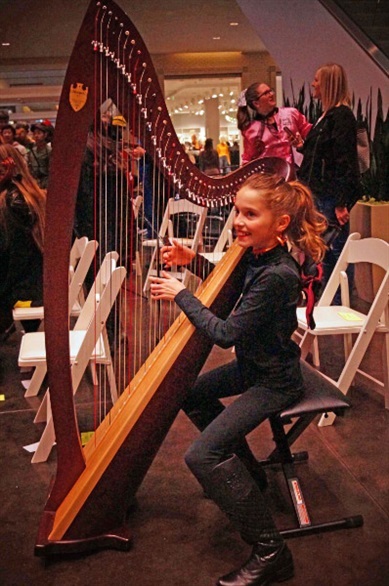 Daisy Murphy pictured below is playing a Lyon and Healy Troubadour Harp jointly funded by HP Arts and HPHS PTA at the end of the 2015-2016 school year. We now have the harp and a harpist! 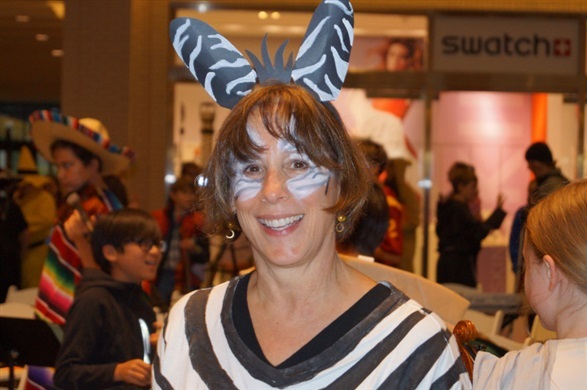 “The harp has a very distinctive sound that is not found in any other instrument in the orchestra”, said MIS/HPMS Head Orchestra Director, Louise Rossi Sklar (zebra costume). The middle school students played Ode to Joy, Au Claire de la Lune, Boil ‘Em Cabbage Down, and It’s the Blues, Man! at the Hauntcert. The harp was purchased to be a shared instrument by both MIS/HPMS and HPHS. The Troubadour harp is the perfect instrument for both beginning and experienced harpists with five complete octaves. HPISD is one of three school districts known to have harp programs in the surrounding Dallas area. It is one of the oldest instruments in the world dating back to around 3500 B.C. Every harp has three different string colors: red are C strings, black (sometimes blue) are F strings and the remaining strings are white or transparent. A modern harpist plays using only the first four fingers on each hand. They pluck the strings near the middle of the harp using the pads of their fingers. Irish harpists use their fingernails to pluck the wire strings. The rapid succession of musical notes played on a harp is called arpeggio and the sweeping motion of the hands across the strings is termed glissando. 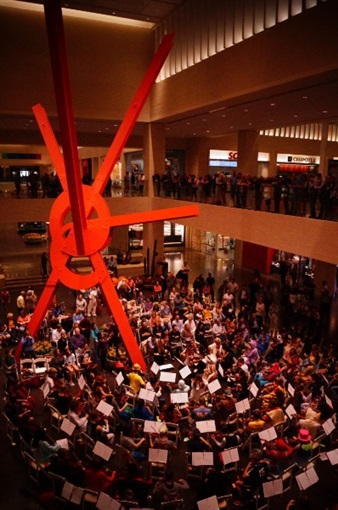 HPHS Orchestra Director, Tara Cesario directed her first Hauntcert with the three HPHS orchestras at the base of the red sculpture. Daisy tunes the harp herself with an electronic tuner. HP Arts is excited to announce that Kid Art presented HP Arts with a $5,819 donation to help fund visual arts programs in HPISD. HP Arts is grateful for Kid Art’s generous sponsorship, designed last spring as a percentage of summer class and camp tuitions. Stay tuned for announcements of specific programs supported by the gift from Kid Art in the coming months. 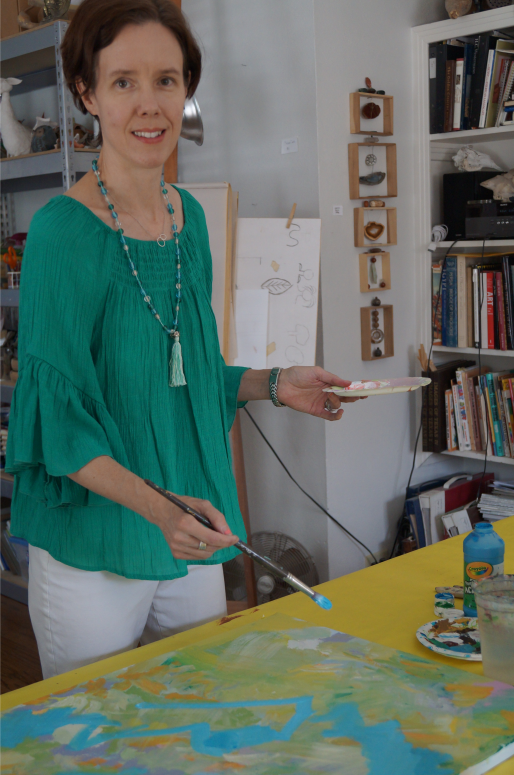 Find out more about Kid Art classes and workshops at www.kidartdallas.com. Thank you to Kid Art! 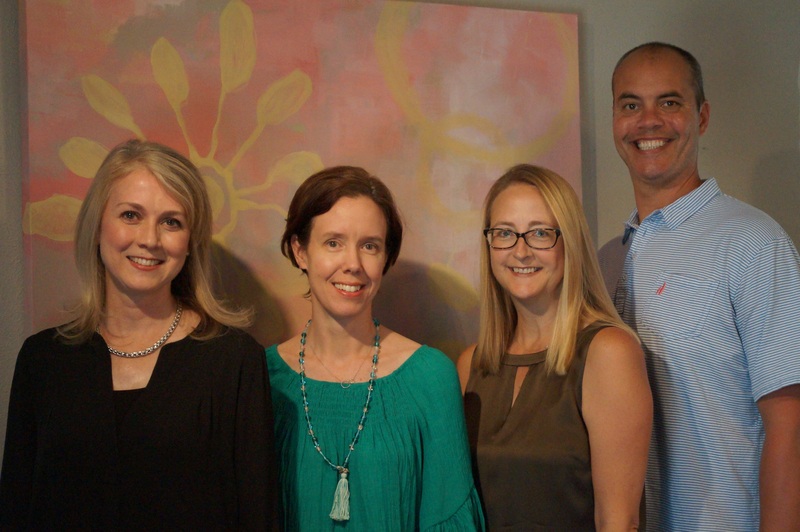 Pictured below are 2017-18 HP Arts board member Molly Pieroni, Kid Art owner Tori Webb Pendergrass, and HP Arts board members Dana Manley and Steve Gruber. 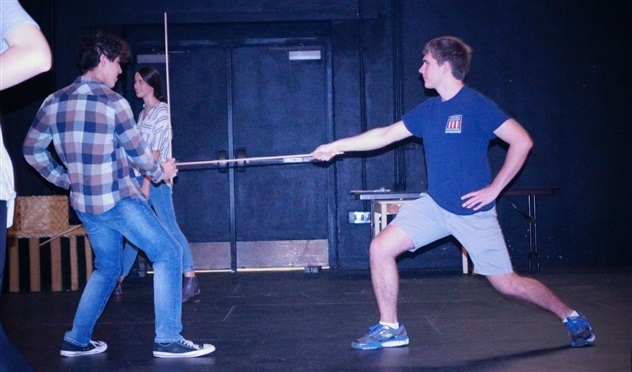 “But guys, don’t really stab your partner!” exclaimed instructor Jeff Colangelo during his stage combat workshop in the HPHS Advanced Theater Class this October. The beginning theater class had unarmed stage combat lessons where they were taught to punch, hair pull, sell a punch, dodge, block and choke! 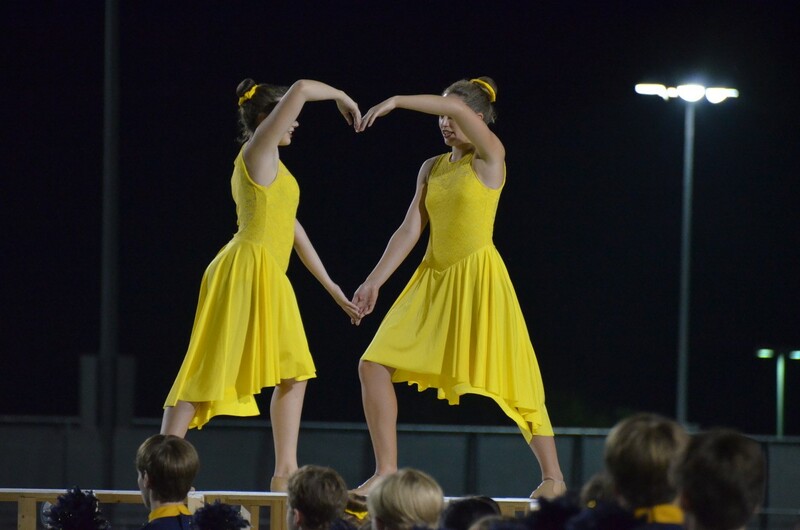 They reviewed these techniques along with choreography to get a tactile learning experience. The intermediate theater classes worked on the same techniques as the beginner level class but had additional emphasis on building choreography. 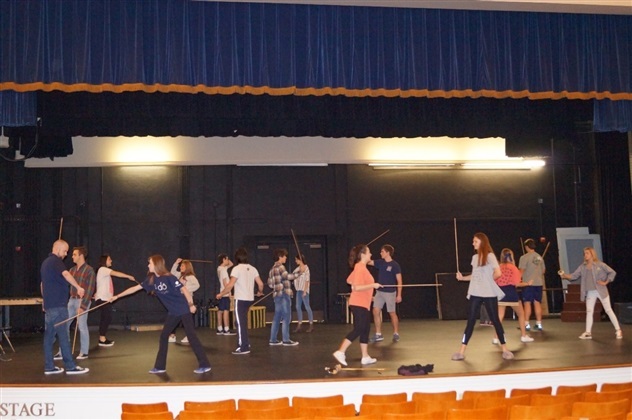 The advanced theater class reviewed the techniques from the intermediate class and were instructed on sword fighting using dowel rods all three days. Sword fighting instruction included foot work, blocks, attacks and how to blend it all together to make a believable piece of choreography. Mr. Ben Stevens, first year HPHS Theater Teacher and HPHS Auditorium Manager will have several of these stage combat techniques incorporated in the upcoming production of Hamlet. Hamlet is showing at HPHS on Saturday, November 11 @ 7pm and Sunday, November 12 @ 2 pm! La Fiesta de la Seis Banderas presented HP Arts with a $60,000 donation to fund HPISD arts programs, technology and new lighting in the MIS/HPMS auditorium. 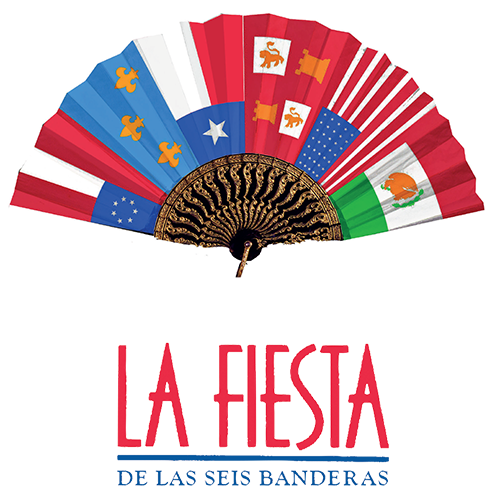 HP Arts is grateful for La Fiesta’s continued partnership and support as it begins its 31st year of service in HPISD. 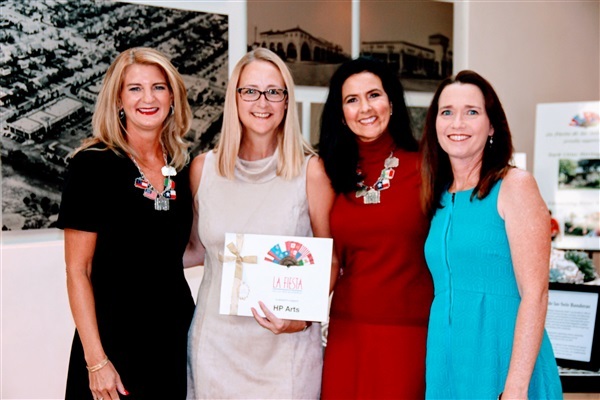 2017 La Fiesta Co-Chair Nancy Monning, HP Arts Past President Dana Manley, 2017 La Fiesta Co-Chair Rebecca Gregory and 2017-18 HP Arts President Kelli Miller.